Monster XP is an international, full-service provider specializing in digital and interactive activations. We’re an industry leader in delivering dynamic and impactful interactive media across endless platforms, including: airports, malls and retail locations, events, sports/entertainment venues, mobile tours, college campuses, hotels, bus shelters, newsstands, storefronts and mass transit. Monster XP designs and produces digital media solutions that enable your target audience to interact with your brand and take action. Monster XP has continuously cultivated key partnerships with top media corporations such as JCDecaux, Clear Channel Airports, Clear Channel Outdoor, Lamar Advertising Company, NCM Media Networks, Titan Outdoor, Limited Space, and EYE, among others. We strive to stay at the forefront of the DOOH space by extending our global reach and continuously rolling out new products and applications. 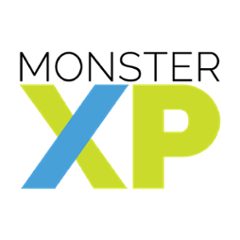 Monster XP has successfully executed thousands of interactive campaigns globally for clients including: The Academy Awards, Amway, Blackberry, Chevrolet, Coca-Cola, Dell, ESPN, Estée Lauder, Ford, General Electric, Hallmark, HBO, IBM, JetBlue, JP Morgan Chase, Katy Perry, MTV, Reebok, Siemens, Target, Universal Studios, VH1, The Walt Disney Company, Xerox, and many more.